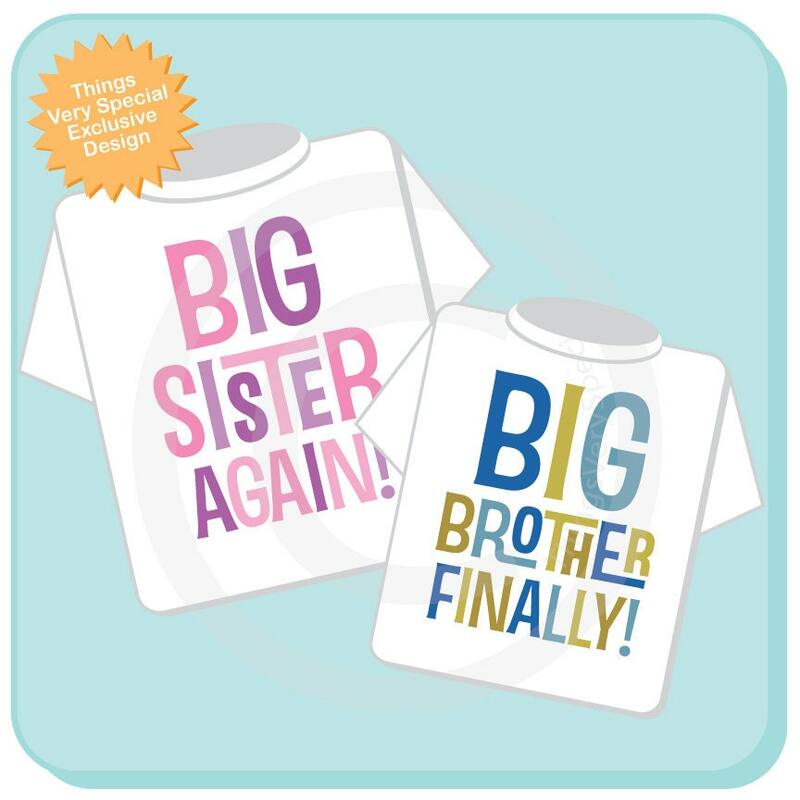 Blue and Golden Green Big Brother Finally and Pink and Purple Big Sister Again Shirt or Gerber Onesie set of two. This listing is only available for this exact set. No changes to this wording will be accepted. 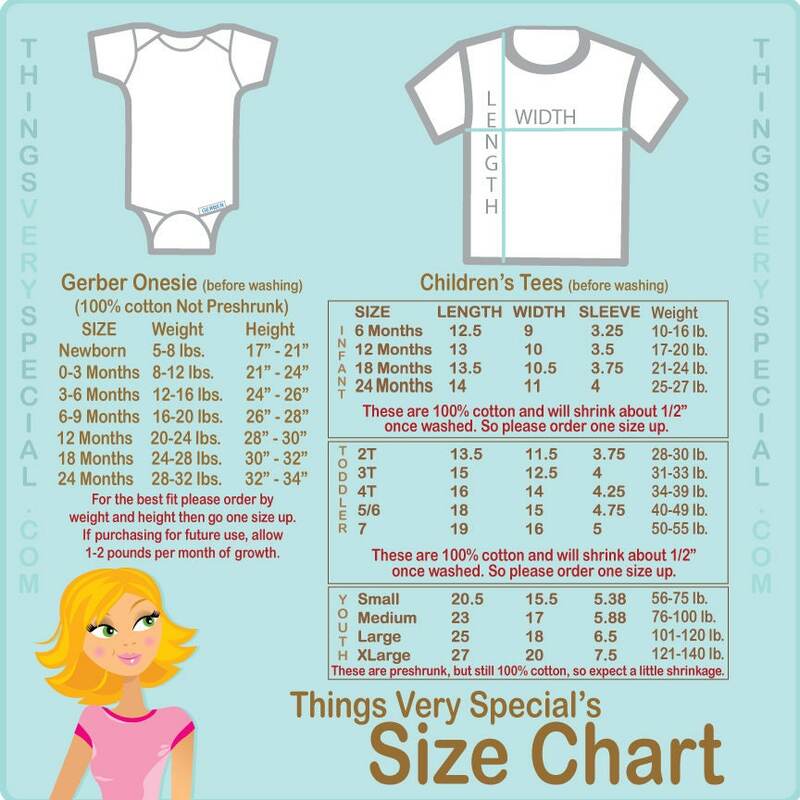 Size of tee shirt or Onesie for each. These shirts are so perfect! My kids are so excited to wear them to meet their baby sister. Shop shipped items very quickly and was very easy to work with. Would definitely buy from them again.